This summer has been hot hot hot, but this week we finally found some relief. You may want to have a chill weekend with a stroll along the Delaware River or a walk around Peace Valley Park. If you are looking to get out and try something different, one of these three events might be just for you. 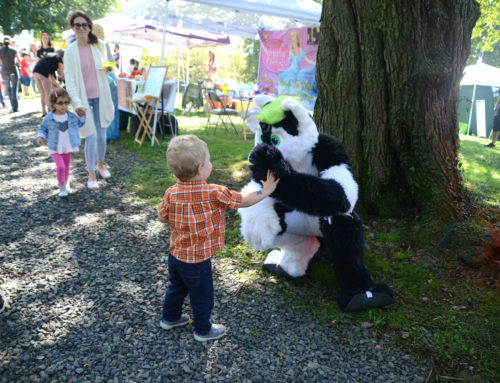 Take a look at our selections for three events to enjoy in Bucks County this weekend. On Saturday, July 14, Highlands Farm will be the place for an Oscar and Us sing-along. This event is part of the Doylestown Township 200 year Celebration. You can participate at the home of Oscar Hammerstein at 70 East Road, Doylestown from 11: 30 a.m. to 2:00 p.m.
On Saturday, July 14, and Sunday, July 15, go blue at Peddler's Village in celebration of National Blueberry Month. Peddler's Village is going to be the place for bluegrass and blueberries. Bluegrass entertainment is scheduled all weekend long and visitors can stop by the Peddler's Village General Store for blueberry pies, butter, jellies, and even lemonade. There will be some blueberry treats like fudge, popcorn and blueberry lemon parfaits on hand too. Get their early, events are scheduled from 10 a.m. to 6 p.m. but parking can be difficult. Sunday, July 15, food, fun, and fireworks are planned at Central Park in Doylestown Township. This event is planned as part of the Bicentennial Celebration happening all year long. Music by Bigg Romeo starts at 7:00 p.m. and fireworks are planned for 9:15 p.m. Parking is $5 per car. The fun is at Central Park 425 Wells Road. The show is part of the Thompson Performing Arts Series.